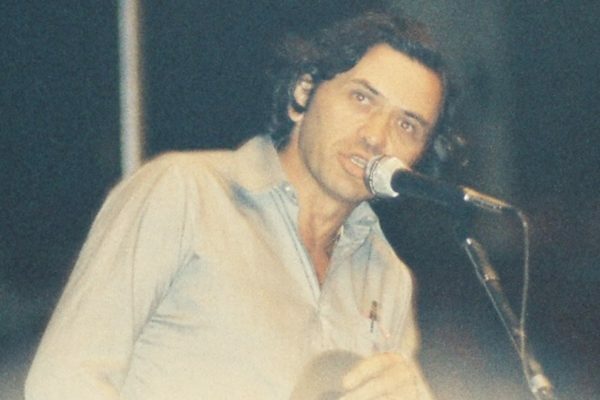 By any standards, rock concert promoter extraordinaire Bill Graham led a very interesting life up until his sudden death at age 60 in a helicopter crash in 1991. This was a guy who escaped from the Nazis when he was eleven then was raised by a foster family in New York. He was a decorated Korean War veteran and introduced to show business while waiting tables in the Catskills. Need a hint to how important he became? Well, he opened two iconic rock halls, the Fillmore East (NYC) and Fillmore West (San Francisco). There and elsewhere, his passion for rock music elevated concert-going to an art form with quality sound and lighting that his predecessors neglected. Although both Fillmores closed in 1971 — in a great part because of their limited capacities — Graham continued to book shows at San Fran’s Winterland Ballroom, a space that accommodated nearly 5,500 people. Here are five historic shows from that one-time ice rink that alone should solidify Graham’s place in rock history. Three acts that went on to be inducted into the Rock and Roll Hall of Fame were Graham’s first booking at Winterland — a pre-Grace Slick Jefferson Airplane and two seminal Chicago blues acts. Listen to audio clips from that final show and you’ll hear hints of the origins of the “San Francisco Sound.” Graham, of course, went on to produce many more shows with Jefferson Airplane after Grace Slick came on board the next month; and at the urging of Butterfield’s legendary guitarist Mike Bloomfield, Graham also went on to introduce young white audiences to many blues acts that had been hidden behind a wall of segregation. Hendrix played many legendary shows but he may never have played better than at this three night stand in the fall of 1968. For though he’d played “Hey Joe” and “Like a Rolling Stone” many times before, these versions heard on the box set Winterland, The Jimi Hendrix Experience, rise above his other renditions via a transcendent quality. 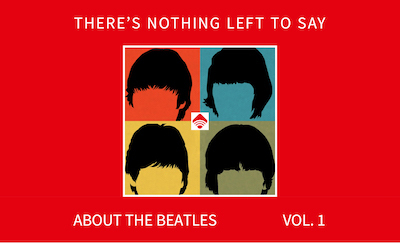 (If you’re hesitant to take the full plunge, check out the excellent single disc compilation.) As if that weren’t enough, on October 10, Jefferson Airplane’s bassist Jack Casady sat in with Hendrix on “Killin’ Floor” then the next night Virgil Gonsalves’ flute adds an ethereal touch to an extended version of “Are You Experienced?” Beyond memorable. After the debacle of Altamont in 1969, you’d think that Graham would have avoided the Stones like the plague. Instead, he welcomed their return and booked them for four shows — two shows per day. Winterland was much smaller than other arenas in their Exile on Main Street tour like Madison Square Garden in NYC and the Spectrum in Philly. Because of that, as big as The Winterland was, it was one of the tour’s more intimate settings. Even better, Graham was able to coax a reluctant Jagger to return to the stage and play “HonkyTonk Women” as an encore. Now that’s power. Filmed by none other than Martin Scorsese and released as a feature film and a multi-disc album, The Last Waltz celebrated the final time The Band played together with their original line up. Arguably the most extravagant rock concert until that time, the show transformed the funky Winterland ballroom into a lavish concert hall with chandeliers and a full Thanksgiving dinner for the entire audience before the show. (Graham was certainly a showman.) Yet while the elaborate celebration featured such legends as Joni Mitchell, Neil Young, Muddy Waters and Bob Dylan among others, the show actually ended on a sour note for Graham who felt under-appreciated by The Band’s Robbie Robertson. After a particularly unpleasant phone call shortly after the show, the two never spoke again. By the late ‘70s, The Winterland was in dire need of repairs with an estimated cost of $350,000. Instead, Graham decided to close shop with a bang, inviting The Grateful Dead — with whom who he had a long association — to be the closing act. Demand for tickets was so great that local PBS stations KSAN-FM and KQED both broadcast the show, which went on for eight hours: six hours from the Dead; an hour from each opening band, all with friends and fans like Ken Kesey and the Hells Angels in the audience while other Dead fans like The Blues Brothers’ John Belushi took to the stage. PS. You may also enjoy our posts Genesis Tour Manager Recalls His Role in One of Rock’s Most Embarrassing Moments and Springsteen: The Boss of Concerts. Plus, for other great Scorsese rock documentaries, click here. there were many many memorable shows at Winterland the 2 nights Tito Puente played there w MALO and AZTECA supporting and Carlos Santana coming out to jam w Malo. plus countless others. I was stationed in Alameda in the Navy from 1971-1975. Saw MANY shows in Winterland!!! Saw Skynyrd open for Marshal Tucker, Traffic, we used to pay a few dollars on a Tuesday night to listen to the Grateful Dead jam half the night. One of the best shows was Starships Red Octopus tour.